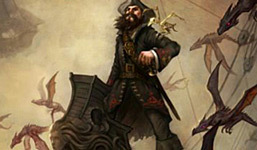 Captain Black Grape is the latest entry from the largest-selling brand of pipe tobacco in the US. Using the same blend of white Burley, Bright Virginia and black Cavendish as Captain Black Regular, Captain Black Grape is finished with a lively, sweet note of grape for a room-pleasing aroma, but a subtly zesty flavor. We expect this blend to be one of their most popular yet. Give it a try today! Uggghhhh ... some competition for Capt. Bob? We expect this blend to be one of their most popular yet. Don't expect much then, do they? You have to wonder if that kind of blend is what raises hackles among those who would "protect the children". I love grape, vanilla, cherry, peach, etc, but not in my tobacco or coffee. I bet you would need to visit a pipe exorcist to remove the grape flavored ghost left behind. Grape. I believe among the scores or hundreds of non-tobacco flavorings I've seen used in pipe tobacco, this is the first grape I've seen. If this makes you shudder, just keep in mind, aromatics are 95-plus % of pipe tobacco sales. I used to razz Sutliff's retired blender, Carl McAllister, about making a grape blend. He'd always say, "Never!" We used to laugh about that one. If this makes you shudder, just keep in mind, aromatics are 95-plus % of pipe tobacco sales. Yep ... and Bud, Coors and Miller are the top beer sellers. There's just no accounting for most people's taste! Blegh! Sounds hideous! No thank you. Guys it to early for April Fools. I don't believe I've heard of Captain Bob? I think I'll try it when it becomes available. I don't like to judge a blend until I've tried it. 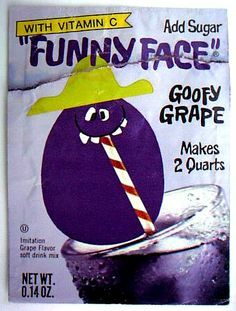 It sounds pretty horrible to me, but I don't have much of a sweet tooth, and the phrase "grape flavored" just sounds like it would be sweet and candy-ish. In addition to that, much like coffee, there are flavors I think are compatible with the taste of tobacco, and grape is not one of them. Gots to compete with the blunts and the Black & Milds... I guess. Sounds disgusting, just as Captain Bob's Blend is disgusting. I think I will pass. Sometimes I wonder if tobacco companies are just trying to piss off the FDA. Grraaaaapppppeee! Trying to take some competition from Big League Chew, Huh. Go home, Cap'n Black, you're drunk. I'm not up to date on all the details but I thought the FDA was putting the clamp on post 2007 flavored tobacco's like this. If that's the case I'm wondering why Captain Black would introduce this product just as the new rules are fixing to take effect. I know in the machine made cigar world all these fruity flavors are marketed for potheads to mix their weed with. I'm not for banning any type of tobacco product no matter how disgusting I think the flavor is but I'm just wondering who the Captain is marketing this stuff to. Sounds good tome, I'd like totry it. It sounds absolutely putrid. Should fit in very well with the CB lineup. They can sell this horrid stuff for 18 months or so, and they're probably trying to appeal to the youth market. To sum it up succinctly, BARF! "...they're probably trying to appeal to the youth market." Occasionally Haddo's Delight starts tasting/smelling grape to me. When it does, I cannot smoke it at all. I'd hate to run into something that tasted grape on purpose. Seems to me that Capt. Black has just given some more ammo to the anti-smoking nazis. Now they can point to pipe tobacco as being marketed to the youth of the country with flavors such as grape tobacco. Grape should appeal to the kids who are always eating Skittles. Most likely targeted to hipsters who roll their own. Maybe to mix with pot for the druggies. What I referred to above, and as some one else commented, are they trying to piss of the FDA? Not an intelligent move. Have to say the most wild thing to me about it is Captain Black Grape actually ghosted the couple of cobs I had it in. People tend to say cobs don't ghost, but with this Captain Black Grape I was searching the yellow pages for the Ghostbusters number. When you're trying to enjoy a Virginia blend this Captain Black Grape certainly isn't Casper the friendly ghost. A grape ghost. I always thought I might try this for a lark, maybe in an order for pouches of Five Brothers and Wild Atlantic, but if its gone all Lakeland aromatic on us, no. Other fruit-based aros like citrus and apple liqueur have been done well, and plum is a classic, so grape might work, but not if it comes with a ghost. Keep us posted to keep us from being ghosted. It isn't grape so much as fake grape. If it didn't ghost a cob (or meer or briar or morta or...) I'd be surprised. All pipes can ghost. I reserve a Dunhill zulu for the grape. It's easy to hate on Grape. But it's easy to enjoy it as well. It's basically a dry Shisha like smoke. Mix it with your favorite English blend and just a little dark fired kentucky. It cuts the grape presence by half and adds smoky goodness. Captain Bob's goes with Perique but Dark Fired is the perfection of the Grapa-kia mixture. If you're picturing the taste/smell of Grape Nehi soda pop, that ain't it. More of a pouch note similar to a just-opened jar of grape jelly. Didn't seem particularly sweet while smoking it -- to my taste buds, anyway. Sounds like something being made available to the Mary Jane crowd, not unlike Blunts, whose intent, as I understand it, is to pull the edge off of harsh weed. I just saw an Esoteria Tobacciana ad for Penzance Grape / Special Reserve. And their other one, Grapehaven. A hipsters delight. The end of the world is near. The grape note of CBG is indeed the smell of a pouch of grape big league chew. The key is to open it outdoors, and run away quickly while you let it offgas. After a few days it won't ghost your clothes getting near it. When McClelland 5110 still existed, it made a great 50/50 mixer with CBG and produced a weirdly good shisha like smoke that was at least 50x better than Esoterica St. Ives. It became a running joke in certain internet crowds, because as silly as it seemed.. it was actually really good. You just had to let go and get over the ridiculousness of pipe tobacco seasoned with artificial grape gum flavor. I'm waiting for the Escudo Watermelon to hit the shelves. I am not affiliated with, and do not endorse this product. 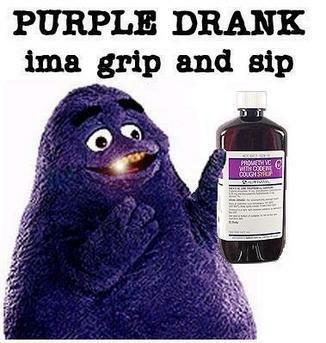 Some of the posts make me think the grape flavoring is concocted without any actual grape. The flavor and scent/fragrance industry works on this all the time to chemically create scent and flavor without the named ingredient, to produce it at a lower price and with better preservative characteristics. I think most people have an instinct to not want to guess what these faux flavors might be and not use flavors that aren't what they represent. Manufacturers will only tell you under mandate.